Missing Malaysian Aircraft MH370 Is Likely Outside The Search Area, Report Finds : The Two-Way A new analysis of existing data suggests that MH370, which vanished in March 2014, might have gone down to the north of the existing search area in the Indian Ocean. 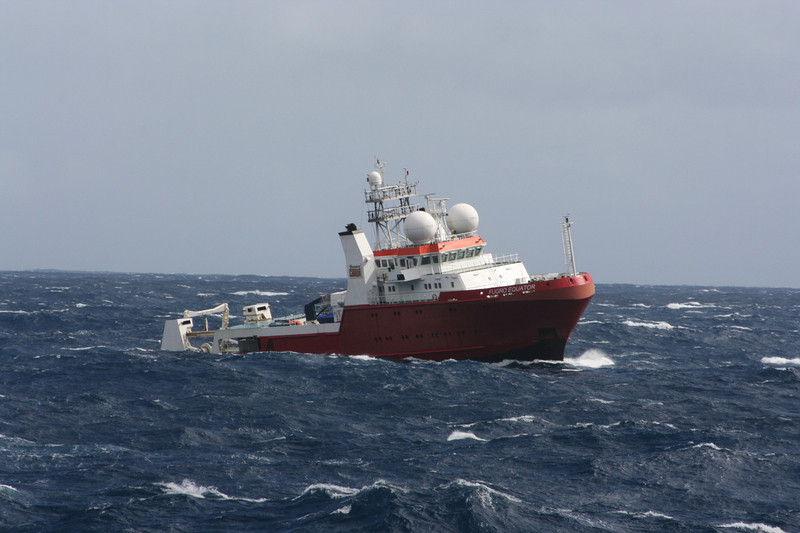 For two years, vessels have been scouring the southern Indian Ocean for signs of the missing jetliner. A new report suggests they might be looking in the wrong place. The wreckage of Malaysia Airlines Flight 370 is probably outside the stretch of ocean that international search ships have scoured for the past two years, a "first principles review" has concluded. The findings, based on a fresh analysis of satellite data, recovered debris and other information, suggest that the plane may in fact lie within a roughly 10,000-square-mile (25,000-square-km) patch to the north of the existing search area. "The experts concluded that, if this area were to be searched, prospective areas for locating the aircraft wreckage, based on all the analysis to date, would be exhausted," the report states. But it's unclear whether the search will be extended to cover the additional area. The newly identified area of interest in the Indian Ocean (orange) lies to the north of the current one (purple). Flight 370 vanished from radar on March 8, 2014, during a routine flight from Kuala Lumpur to Beijing with 239 people on board. Fragmentary evidence from military radars and "pings" from the plane's own satellite communications system suggested that the Boeing 777 executed a series of turns that eventually led it to the southern reaches of the Indian Ocean. Authorities believe it crashed somewhere along a long arc of ocean, after exhausting its fuel supplies. In July 2015, a fragment of the plane washed up on the shores of La Réunion, a small island off the African coast. Since that time, more than 20 other pieces of debris have been recovered along beaches in places like Madagascar, Mauritius, Tanzania and South Africa. 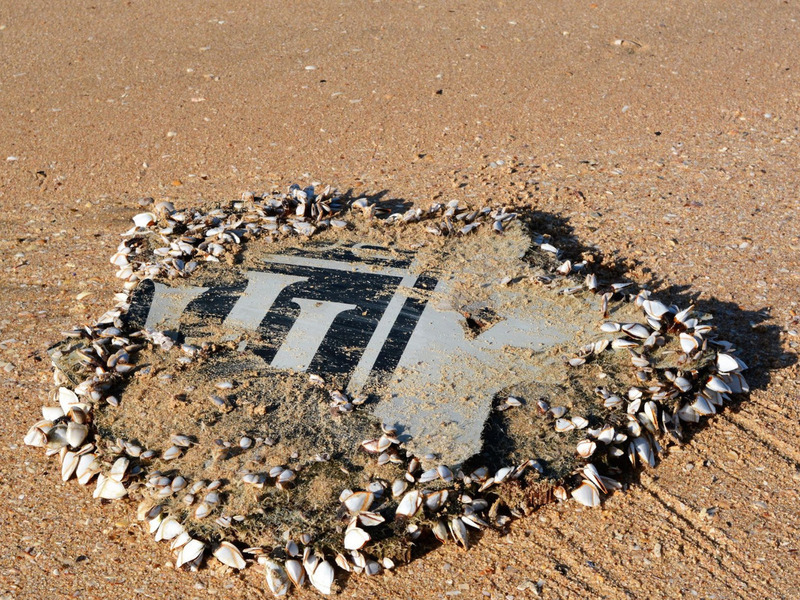 A piece of engine cowling covered in barnacles recovered from a South African beach. Debris such as this has led to a revision of the search area. The new conclusions appear to be based largely on scientific models of how the debris pieces might have drifted across the ocean. 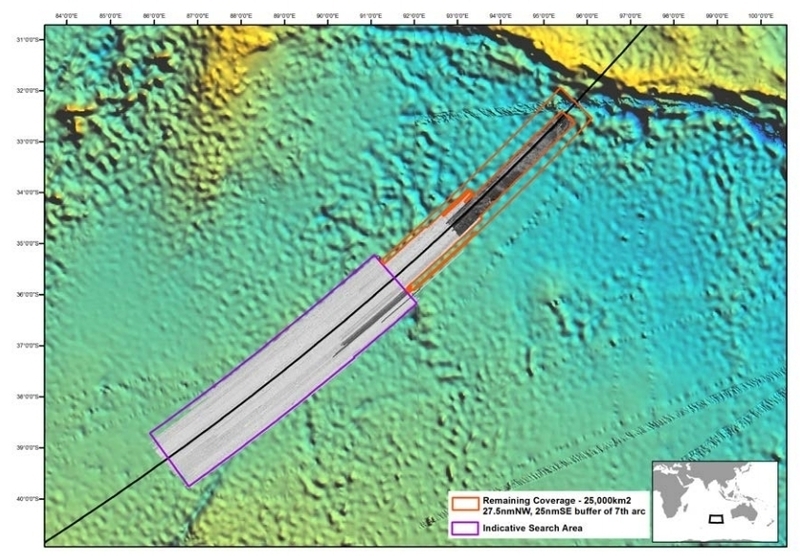 Oceanographers with Commonwealth Scientific and Industrial Research Organisation conducted extensive drift analysis which indicated it was more likely the plane had gone down north of the existing search area. The first principles team also took a look at likely flight modes of the aircraft, and new information about how it crashed. The fresh analysis, coupled with the fact that the plane hasn't turned up in the 42,000 square miles (110,000 square km) searched so far, has led to a new search zone. The review team says that "based on the analysis to date, completion of this area would exhaust all prospective areas for the presence of MH370." Still, it remains uncertain whether the new zone will be searched. Last July, Malaysia, Australia and China, which are funding the search, said they would not extend it. Operations are currently set to wrap up in early 2017.